The polls are in, and Durham residents all say this city is a great place to live! If you have recently moved into apartments near Research Triangle Park, you may be wondering what makes everyone so proud of the Bull City. Well, for starters, the people in Durham support their local businesses, and they have built a community that's inclusive and welcomes newcomers. That is one of the many reasons Durham keeps getting called one of the best places to live in the country! 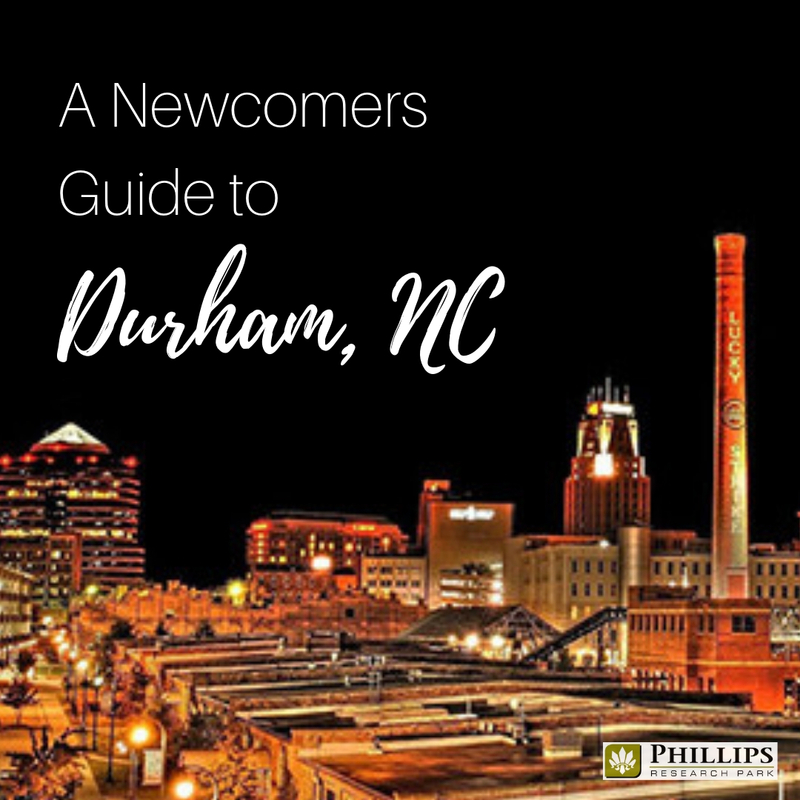 So, let us be one of the first to tell you congratulations for making a smart move to your Research Triangle area apartment, and welcome to Durham! Durham has a strong job market and opportunities are numerous. However, they can sometimes be tricky to find if you aren't familiar with the city. Of course, you can try all of the usual outlets like Indeed and Monster, but there are a few local places to start your search as well. Work in the Triangle can help you explore the companies in the area, so you can find your perfect fit. You can feel pretty confident about sending your children to the schools assigned to your apartment near the Research Triangle Park. Durham Public Schools is committed to producing a brilliant and creative student body. With 30 elementary, 10 middle, and 12 high schools, there is plenty of diversity and innovation. The public-school system also supports a number of magnet schools with special focuses like arts or science. No matter your faith, you will find a community in Durham. All faiths are represented in the wide array of churches, synagogues, and mosques dotting the city. The area strives to be open and accepting of people of all faiths. If you need help finding a religious institution near your Research Triangle Park apartment, you can use the Discover Durham site to search by faith. When moving to a new community that is as welcoming as Durham, you may want to find ways that you can give back. Volunteering within the community is also a great way to make new friends! The Durham Wayfinders program is a great way to search for and register to help out at various facilities, festivals, events, and information desks across the city. The Durham food scene is pretty immense, and the culinary options will leave your taste buds satisfied. However, having so many choices can sometimes become overwhelming. Just in a few miles radius of all apartments near the Research Triangle Park, you can find hundreds of establishments in all kinds of cuisines. 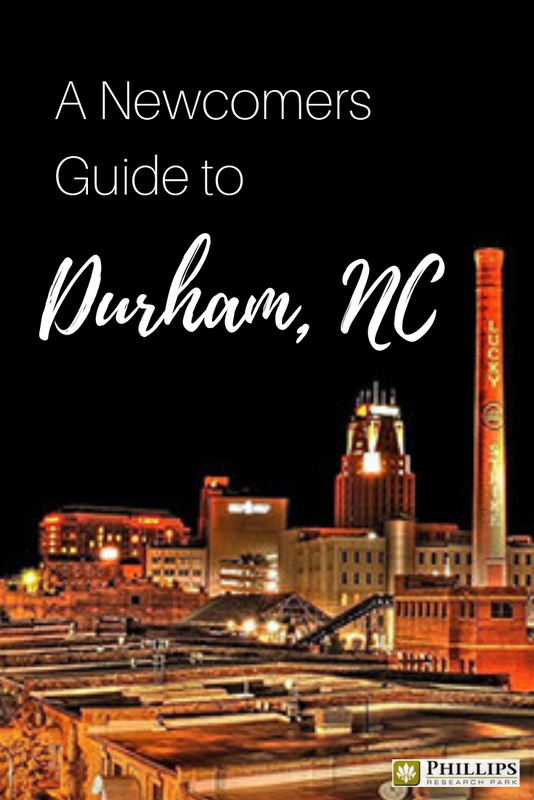 From quick snacks like Monuts Donuts to date nights at the Durham Hotel, you can find a good guide to the many foods available throughout the city in this post called 60 Ways to Eat Through the Durham Food Scene. Don't worry about being bored in your new city! The real problem will be finding time to do all of the awesome things that Durham has to offer. No matter your entertainment preferences, there is plenty to keep you having fun in and around the city. Whether you want to get wild at the Duke Lemur Center, grab a pint at one of the area craft breweries, commune with nature at the Eno River State Park, or get cultured at the Nasher Museum of Art, your social calendar can remain full all year long. One of the things to learn when moving to any new city is the layout, right? You will likely become very familiar with the immediate neighborhood around your Research Triangle Park apartment, but you will eventually want to get out and explore the rest of the city. This section will help you understand the five major districts of the city. #1 Downtown: The hub of the city, downtown is a truly vibrant are full of food, culture, and fun. This district of the city actually has its own subdistricts, each with their own special flavor. In City Center, you will find the historic character of the original city plus plenty of bars, restaurants, and art galleries. City Center is exciting day and night. Next is American Tobacco. This one million sq. ft. live, work, and play destination used to be the American Tobacco manufacturing plant, but now it is a great place to catch a comedy show or a bite of Cuban food. It even has its own man-made river. As you can see, Downtown packs quite an entertainment punch (and we barely scratched the surface!) You can spend a whole year exploring it and never do the same thing twice. #2 Ninth Street & Duke: The area around Duke University is full of eclectic shops, well-loved bars, and tons of coffee shops. There are also some excellent fine-dining choices to explore…and so much shopping! #3 Research Triangle Park: Now we are talking about your neighborhood! The park was founded in 1959, and it consists of 7,000 acres that starts in Durham and spills over into Wake County. #4 Rockwood & South Square: If you are looking for award-winning restaurants then you need to head over to Durham-Chapel Hill Blvd. You will find truly decadent desserts at Guglhupf, noodles to slurp at Twisted Noodles, and authentic ethnic eats at Li Ming's Global Mart. #5 Southpoint: When shopping is what your heart needs, Southpoint is where you are going to find it. The Streets at Southpoint will have you shopping till you drop, but if it isn't enough, you can try out Renaissance Village as well! As you can clearly see, moving to your apartment near the Research Triangle Park may just be the best decision you've ever made! Now get out there and explore the city. Don't forget … if you are in the market for the best apartments in Durham, you need to visit us at Phillips Research Park. We offer 1, 2, and 3 bedroom apartments in a family and pet friendly community. You will love our amenities!